Another example is the phrase "kingdom of God" which makes it a creation of God instead of the uncreated ruling power of God. What is amazing is that the term "kingdom of God" appears not once in the original Greek of the New Testament. Not knowing that the "rule" or "reign of God" is the correct translation of the Greek "Basileia tou Theou," Vaticanians, Protestants and even many Orthodox today, do not see that the promise of Christ to His apostles in Mt.16:28, Lk. 9:27 and Mk. 9:1, i.e. that they will see God's ruling power, was fulfilled during the Transfiguration which immediately follows in the above three gospels. Here Peter, James and John see Christ as the Lord of Glory, i.e. as the source of God's uncreated "glory" and "basileia," i.e. uncreated ruling power, denoted by the uncreated cloud or glory which appeared and covered the three of them during the Lord of Glory's Transfiguration. It was by means of His power of Glory that Christ, as the pre-incarnate Lord (Yahweh) of Glory, had delivered Israel from its Egyptian slavery and led it to freedom and the land of promise. The Greek text does not speak about the "Basileion (kingdom) of God," but about the "Basileia (rule or reign) of God," by means of His uncreated glory and power. 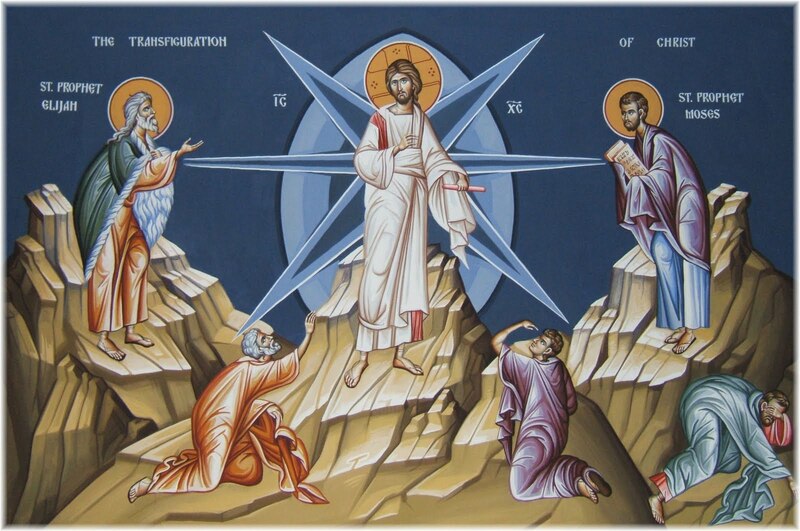 * At His Transfiguration Christ clearly revealed Himself to be the source of the uncreated Glory seen by Moses and Elijah during Old Testament times and who both are now present at the Transfiguration in order to testify to the three apostles that Christ is indeed the same Yahweh of Glory, now incarnate, Whom the two had seen in the historical past and had acted on behalf of Him. * For a typical Augustinian misunderstanding of Mk 9:1ff see "Promise and Fulfillment, The Eschatological Message of Jesus," by W. G. Kummel, p 25-28, 44, 60 f., 66f., 88, 133, 142, 149. This so-called kingdom promised by Christ does not yet exist when He pronounces this promise, but will come into existence sometime in the future.